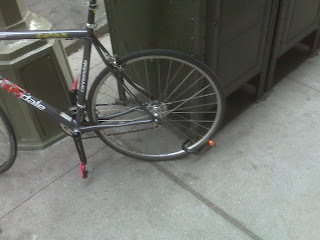 Most messengers do something to make it harder to steal their wheels. A bolt at the end of an axle is a common deterrent. I'd guess one out of seven use OnGuard locking skewers like me. aren't you in india? how are you posting now?? ?